I needed a thank you note for a friend who let us stay at their home over the holidays. 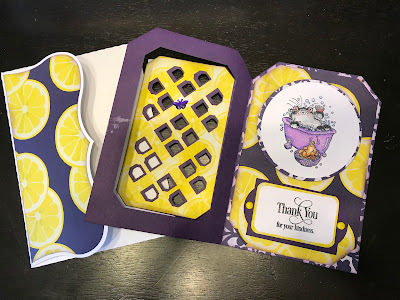 My friend has a passion for antique doors and her husband is a gardener who is growing lemon trees on his patio, so I was trying to find a way to incorporate a door and lemons in the card. 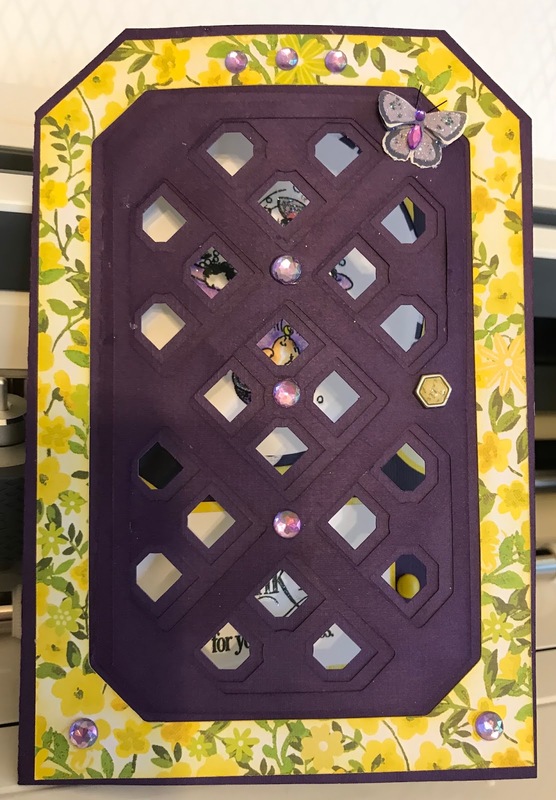 Here is what I came up with - I used a SVG cut file from SVGcuts - Fairy Cottage Gate Card. 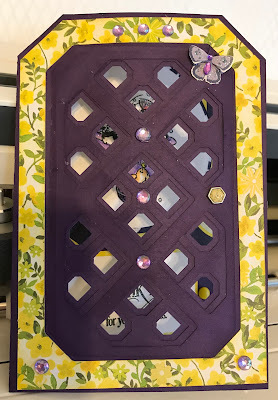 The stamps inside are from Penny Blacks "Bubbly" and "Heartfelt" stamp sets (colored with alcohol inks). 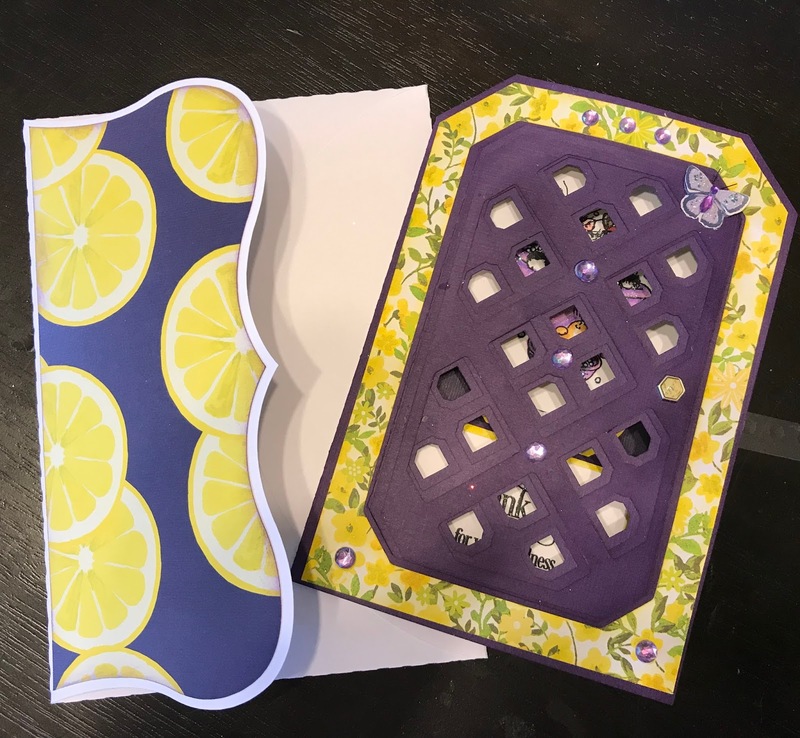 The paper is "Oh My Lemony" from Paper Studio. I used my Cricut Maker to cut the files. I'm pretty happy with the results except for the front. I feel like it needs something but I can't figure out what, so I just quit!